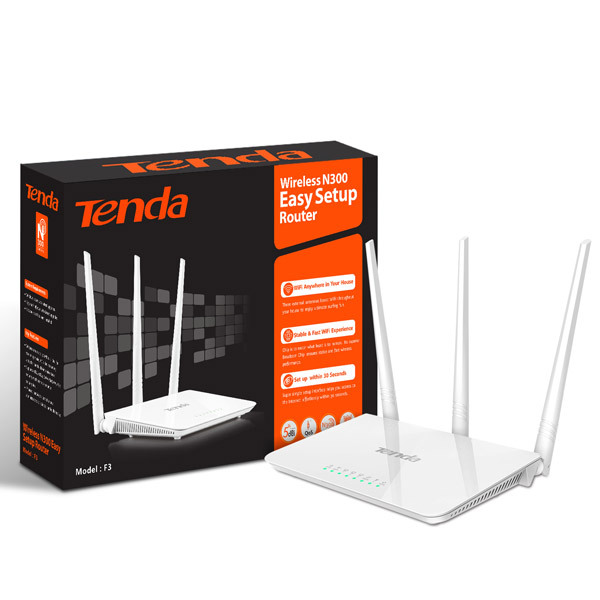 Router wireless 3 antena dari Tenda. Cakupan sinyal kuat hinggal 200 meter persegi. Memiliki pengaturan bandwidth untuk tiap IP. Antenna 3x5dBi external undetachable antennas Power Consumption 1.9W(no load)~3.3W(full-load) Power Supply DC 9V 600mA Button 1*WPS/RESET LED SYS WiFi LAN(1-3) WAN T WPS Frequency 2.4GHz Interface 1*10/100M auto-negotiation WAN port ; 3*10/100M auto-negotiation LAN ports Standard&Protocol IEEE802.11/b/g/n Safety WPA Algorithm: AES TKIP TKIP&AES ; Wireless Access Control: MAC Address Filtering DHCP Server Support Certification CE ROHS 3C EAC NOM IC System Tool Network Time Sys Upgrade Backup/Restore Factory Default Login Password Sys Logs Restart. 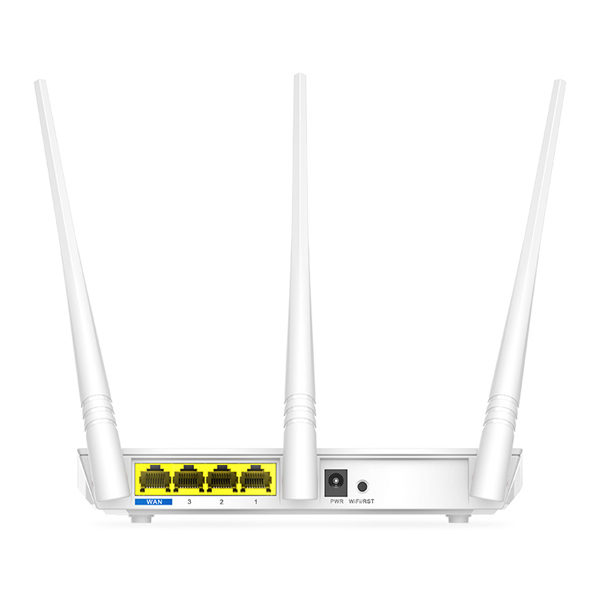 Speed 300Mbps over 2.4GHz band Dimension 127.4mm*90.5mm*26mm Humidity Operating Environment:10% ~ 90% RH Non-condensing Storage Environment:5% ~ 90% RH Non-condensing Temperature Operating Environment:0℃ ~ 40℃ ; Storage Environment:-40ºC~70ºC Pengenalan Produk Feature: 1. 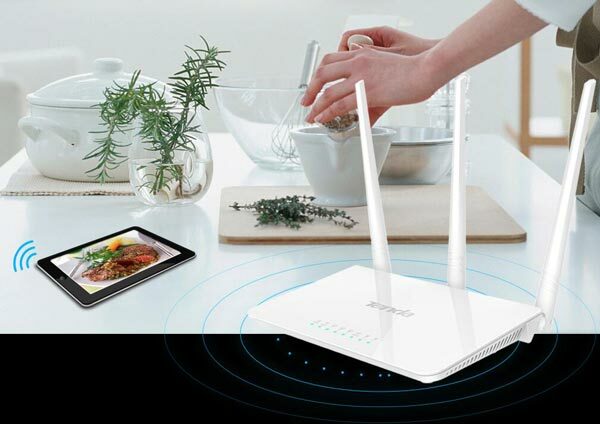 300Mbps wireless router F3 is specially designed for your smart home networking life . 2. 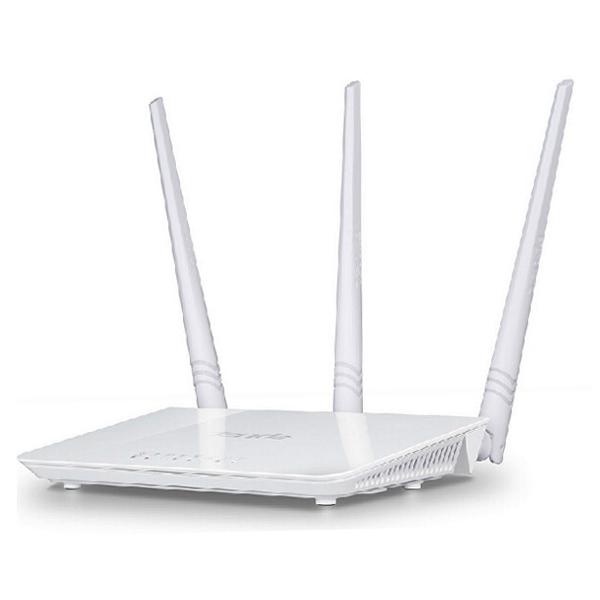 WiFi coverage up to 200㎡ 3*5dBi high gain omni-directional antennas boost WiFi coverage up to 200㎡. 3. 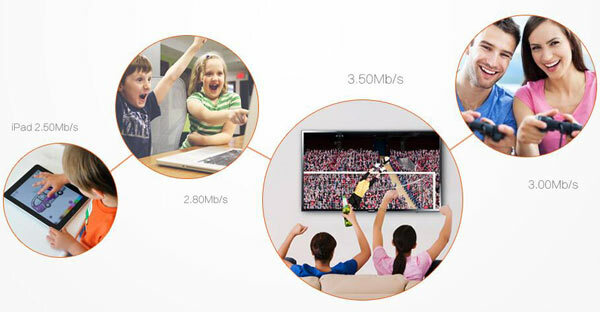 Superior Chip, Superior performance Its superior Broadcom Chip ensures stable and fast wireless performance, making it ideal for streaming music, uploading photos, video chatting, HD video streaming and other bandwidth-intensive tasks. 4. Easy setup Easy setup interface makes you enjoy fluid WiFi experience effortlessly . 5. Supports WPA, WPA2, WPA-PSK/WPA2-PSK security mechanism to enhance security level. 6. IP based bandwidth control allows administrators to determine how much bandwidth is allotted to each PC.